La Palma floor plans feature large, open living spaces, spacious closets, cascade windows, and well-equipped gourmet kitchens with granite countertops. 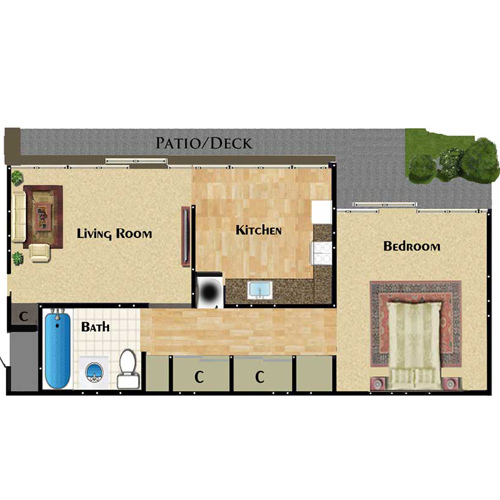 Your one-or two-bedroom floor plan features a large patio or deck so you can enjoy the beautiful California weather in your outdoor living space. 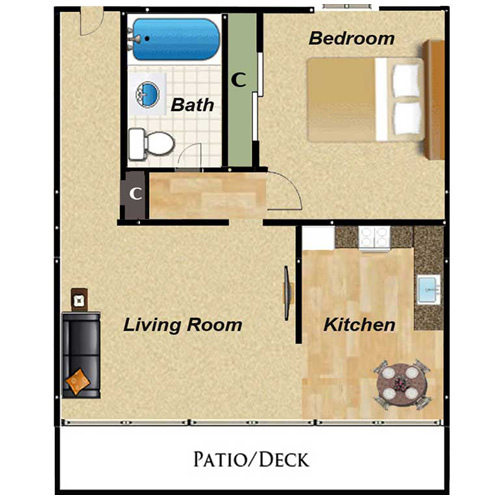 This apartment features an eat-in kitchen, a spacious bedroom, and a large living area. 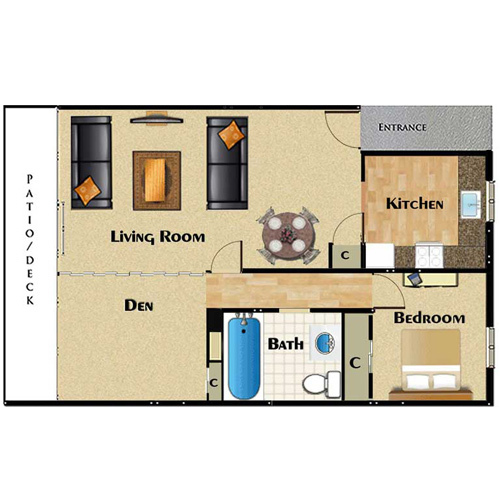 You’ll love the extra living space in this apartment home. A hallway leads to the bedroom, bathroom, and den for extra privacy. The L-shaped kitchen opens to an open-concept living and dining area. A smart layout makes this 580-square-foot apartment home cozy and practical. A large, eat-in kitchen opens to the living room. A hallway leads to the bedroom, the bathroom, and the spacious closets. 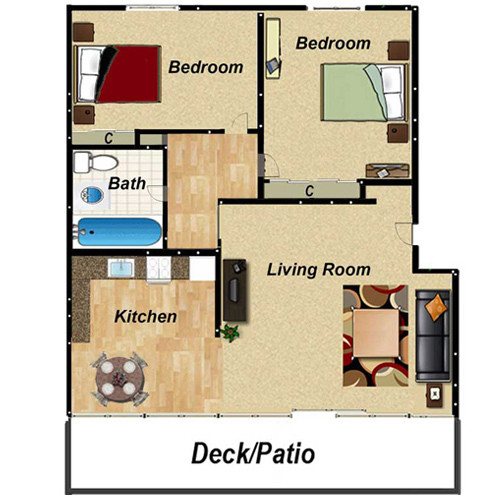 This La Palma floor plan features two airy bedrooms, an eat-in kitchen, and a generous living space. You’ll be charmed by this layout.